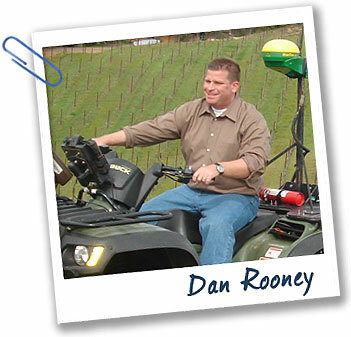 Dan Rooney is an entrepreneur and the inventor of a device that takes pictures of soils without digging. His revolutionary invention is used to create maps of soil, water, and nutrients that are located up to 100 feet below the Earth’s surface. As a kid, what did you want to do when you grew up? My mom always wanted me to be a doctor, but I’d go outside and get covered with mud and dirt, like Pigpen from the Peanuts cartoons. Now I’m a dirt doctor. Not exactly what my mom had in mind! What’s next for you and your invention? We have mapped soils on four continents—including Europe, Africa, and China—and more than 20 states. Farmers use the maps to water and fertilize their crops in a way that is good for crops and for the environment. We will revolutionize agriculture! Can you get rich as a soil scientist? I majored in ecology in college. I have a master’s in soil science. You don’t major in those things to get rich. But these sensors are like magic wands. This could easily be a billion dollar business.